Today in History–October 10–the Library of Congress features Chesapeake & Ohio Canal, which opened on this day in 1850. The 184.5-mile C&O canal connected Washington, D.C., to Cumberland, Maryland and took 22 years to complete (ground was broken on the same day as the B&O Railroad). 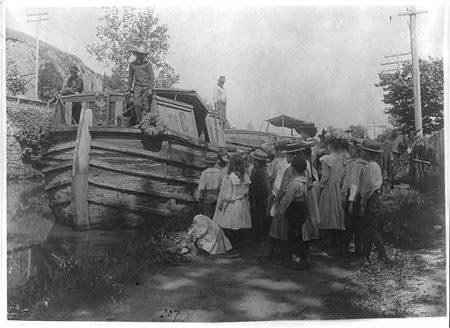 Find out more about the history of early river transportation by visiting the Today in History section, then click the links below to access more primary sources related to the C&O Canal. Filed Under: Primary Source Picks Tagged With: 10 10, books, C&O canal, canal, chesapeake, engineering, film, images, maryland, mdestiny, newspaper articles, october, october 10, ohio, potomac, river, TH, today in history, transportation, washington d.c.